Tuesday, October 16th, Nicholas County High School hosted their annual college fair. “I can’t think of a college that didn’t come,” counselor Mrs. Dorsey said. Nicholas County High School hosts one college fair every year to give students the opportunity to visit with colleges that they might be interested in and see what they have to offer. There is also no application fee. 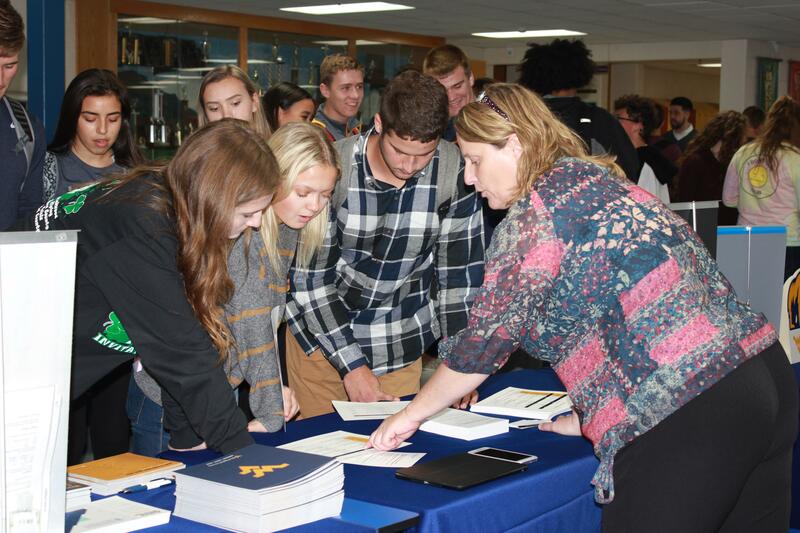 “The college fair was a big success and I learned a lot about the college I was interested in,” said Senior Alex Morton. Both NCHS juniors and seniors attended the college fair, as well as students from Richwood High School and New Life Christian Academy. Richwood has attended every year since the flood. “For any student that is having trouble choosing a college, choose a school by your interest, and not by your friends’ interest,” counselor Mrs. Knight advised.